Sometimes you have a clear picture in your head of exactly the design of contact lenses you would like to pair with your next costume, but other times you might be in need of a little inspiration to find the perfect pair for you. If you are searching for your next pair of contact lenses from Coloured Contacts then why not browse our range of Ice Blue Contact Lenses. This tone of lens can give you a bright innocent eyed look or a creepy Halloween style. We have gathered some of our favourite pictures of popular Instagrammers trying out our light blue contact lenses so you can see just how many characters and styles you can create with one shade of lenses. One of our favourite uses for ice blue lenses is for cosplays and character outfits. Creating the best costume and makeup for your next cosplay is great, but you don’t want to be let down at the last hurdle by having a different eye colour. If your natural eye colour doesn’t match the character you are cosplaying do not worry, Coloured Contacts are here to help! We even stock blue contact lenses for brown eyes UK so you can be sure that your natural eye colour will stay hidden. Check out this Sailor Moon cosplay by Instagrammer @kicka_cosplay. 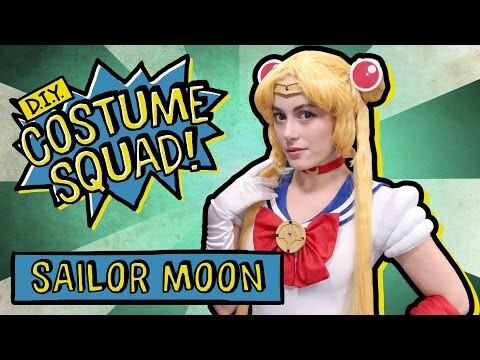 Her portrayal of Sailor Venus is amazing; it looks as if she has stepped straight out of the anime series. Using your bright blue contact lenses, you can also get this look. We recommend using the Blue Solar Coloured Contact Lenses or the Blue Sapphire One Tone Prescription Contact Lenses if you are looking to leave the glasses at home. Our next character is from one of the most popular series on TV. 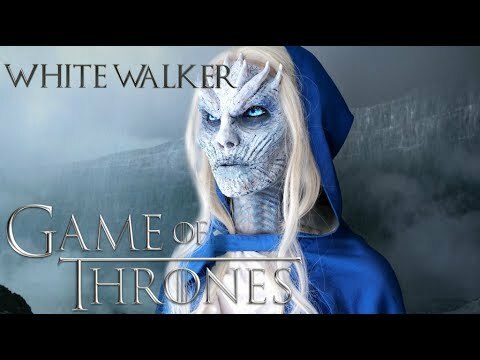 This Game of Thrones inspired White Walker style by Instagrammer @artbybmazz is unbelievably good. As fans of GOT will know, the White Walker just wouldn’t look right without those piercing blue eyes. For this style, we recommend trying out the Blue Ice Walker Coloured Contact Lenses or the Blue Manson Coloured Contact Lenses. These are the ultimate styles in ice blue contact lenses UK. A pair of natural blue contact lenses can help you create a fantasy look just as well as a pair of costume lenses so why not experiment with some of our natural coloured contact lenses. Your costumes are sure to have an extra awesome finishing touch when you add a pair of brightly coloured lenses. This golden fairy style from Instagrammer @makeartwithmakeup is dazzling. We really could believe she is a mystical creature! To create this look we recommend our Blue Glimmer Contact Lenses or Blue Two Tone Contact Lenses. Looking for ice blue vampire contacts? @stephanie_fernandez is looking a little bloodthirsty in this creepy style. The bright blue face paint matched with our Blue Blind Lenses is a daring combination. We think it totally works and creates a vibrant glow to this scary character. Our Blue Blind Contact Lenses are certainly very eye-catching. Check out this look by @queenofluna for a mermaid inspired makeup style. We think it looks beautiful. Matching your ice blue shade with a warm purple creates a totally different colour palette. As you know we stock much more than just blue contact lenses, so why not search everything from ice grey contacts to vibrant warm yellows for a look that is unique to you. We would love to see you showing off your lenses whether they are Ice Blue Contact Lenses or another colour. Tag us in your pictures at cosplay conventions, photoshoots and fancy dress parties on Facebook, Instagram and Twitter.